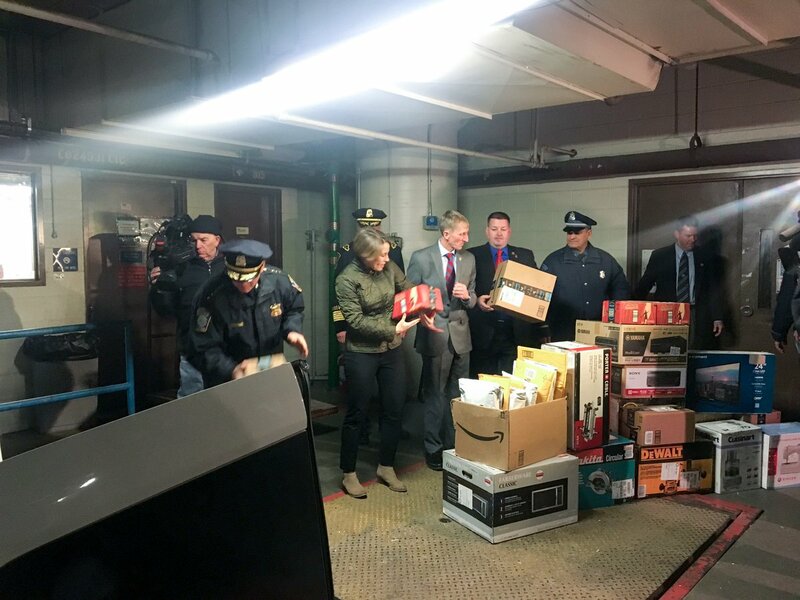 Dozens of stolen Amazon packages, stolen before they even got to doorsteps and entryways will return to their owners today before the holiday weekend, thanks to help from the Brookline Police and Boston Police, Attorney General Maura Healey announced today. 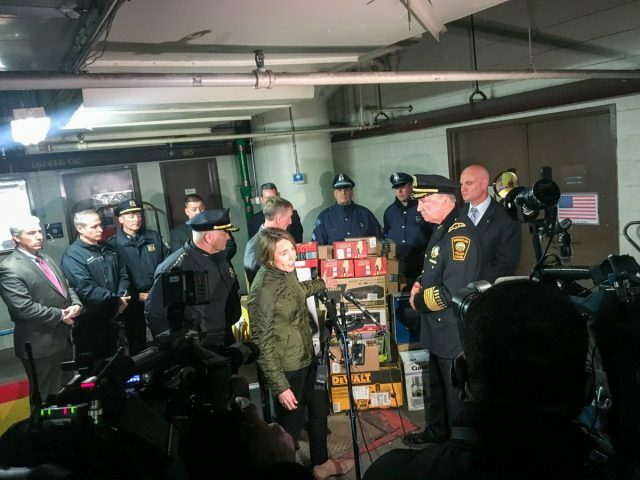 Even though none of the packages belonged to Brookline residents, according to Brookline Police, it is not unusual for Brookline Police to work closely with Boston and State Police Departments. “We share information on a daily bases through a regional intel group called the BRIC Boston Regional Intelligence Center. Information sharing in this case seemed to be the key with intelligence gathered over time lead to the arrest,” said Lt. Phil Harrington of the Brookline Police. This week four men were arrested and arraigned in connection with a series of break-ins at restaurants in Quincy and Taunton, allegedly smashing cash boxes and forcibly ripping away safes. 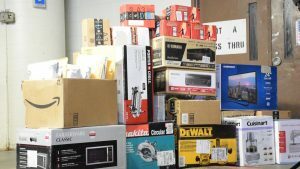 During the investigation, authorities uncovered dozens of stolen Amazon packages at one of the suspect’s homes. The Attorney General’s Office has been in touch with Amazon and is returning the packages so they can be delivered before the weekend. Jason Geddes, 29, of Boston and Dharol Joyner, 33, of Boston, were arraigned yesterday in Quincy District Court in connection with a break-in and theft from a Wendy’s restaurant in Quincy on Dec. 14. Both Geddes and Joyner were charged with Breaking and Entering a Building in the Nighttime to Commit a Felony, Larceny Over $250, Possession of Burglarious Tools, Malicious Destruction of Property and Conspiracy (one count each). Both men pleaded not guilty to the charges, with bail for Geddes set at $15,000 and bail for Joyner set at $7,500. They are due back in court on Jan. 16 for a probable cause hearing. 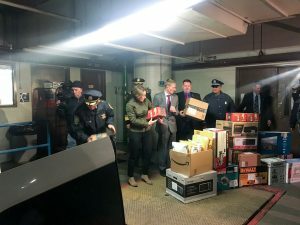 While searching Joyner’s home, investigators uncovered dozens of unopened Amazon packages and boxes addressed to customers in Greater Boston. Investigators believe that Joyner stole these packages while working a part-time job as a delivery contractor. Daniel Vo, 23, of Boston, was also arrested yesterday in connection with the break-ins and will be arraigned at a later date. Edward Nugent, 55, of Weymouth, was arraigned yesterday in Taunton District Court in connection with a break-in and theft from a Wendy’s restaurant in Taunton on Nov. 26. He was charged with Malicious Destruction of Property, Breaking and Entering a Building in the Nighttime to Commit a Felony, Larceny Over $250, Possession of Burglarious Tools, and Conspiracy (one count each). He pleaded not guilty to the charges and was held on $10,000 cash bail and on a probation detainer for unrelated charges. Nugent is due back in court on Jan. 18 for a probable cause hearing. The men were arrested yesterday as a result of an ongoing investigation by the AG’s Office, the Boston Police Department, Brookline Police Department, Quincy Police Department, Taunton Police Department, Medford Police Department, Hanover Police Department, Stoughton Police Department, the Massachusetts State Police Fusion Center and the Boston Regional Intelligence Center into a number of breaking and entering incidents at area restaurants. As part of this investigation, authorities recovered a loaded firearm, ammunition, prybars, a crowbar, a sledgehammer and other burglarious tools, clothing, thousands of dollars of cash, ski masks, gloves, cellular telephones, identifying documents, and other evidence. 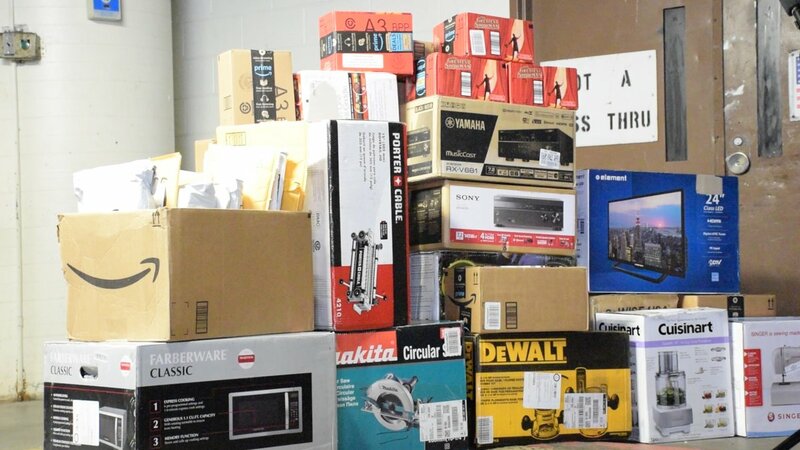 In addition, investigators recovered from multiple residences dozens of suspected stolen boxed merchandise and delivery packages.